Very cute, very affordable ranch with a huge finished 23×9 attic space that can be used as a second bedroom but not classified as such. Home is move in ready and has a huge double Lot! 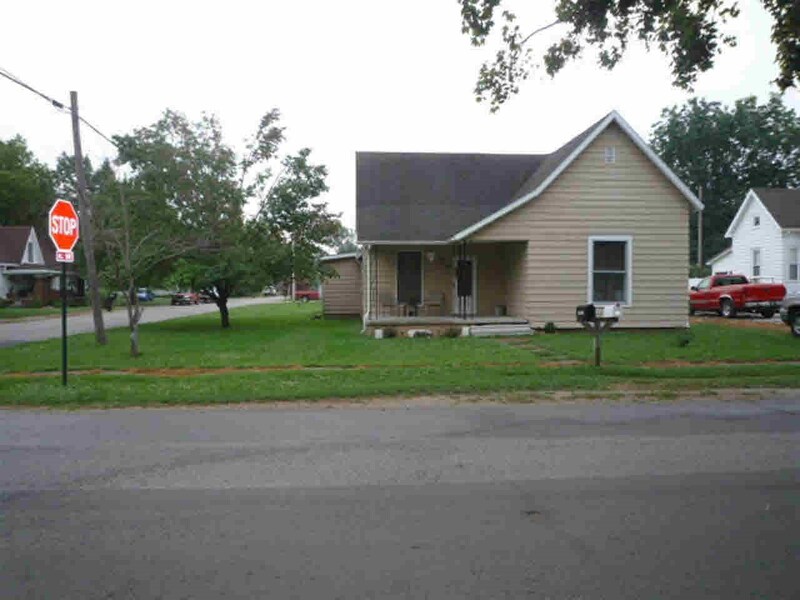 Updates include: NEW A/C, Furnace, Electrical Panel, Plumbing, Water Heater, Flooring, Bathroom and Kitchen. Brand New Microwave, Refrigerator and Stove stay with the home. New light fixtures, freshly painted and landscaped. All that is missing is you! Finding nice neighborhoods is hard, here are 15 of the nicest neighborhoods in Fort Wayne, Indiana. Royville- Located off of DuPont and Coldwater, its very close to Carroll high school, which is one of the best schools in the county. The median real estate price is about $250k. This neighborhoods is 96.8% more family friendly than almost any other neighborhood in Fort Wayne.Its combination of top public schools, low crime rates, and owner-occupied single family homes gives off a very comfortable vibe. Brierwood Hills- Located off of west Jefferson blvd. and Covington road, Brierwood Hills median real estate price is $201,132, Brierwood Hills real estate is primarily made up of medium sized (three or four bedroom) to large (four, five or more bedroom) single-family homes and town-homes.In addition, a majority of the adults in the Brierwood Hills neighborhood are wealthy and educated executives. They own stately homes that tend to maintain high real estate appreciation rates. Weastlawn- Located off of Illinois road, Westlawn median real estate price is about $200k. Westlawn neighborhood is considered a solid choice for executive lifestyles, based on the wealthy, educated professionals, executives, and managers who choose to reside here, the spacious homes that are prominent features of the real estate in the neighborhood. In addition to being an excellent choice for highly educated executives, this neighborhood is also a very good choice for college students. Cherry Hill- Cherry Hill is located off of wheelock road, this neighborhood is rich in community, has a local tennis club and a pool for the residents of the neighborhood to enjoy during the summer season. Arlington park- Arlington Park is located off of Arlington Ave, it has a community pool, golf course, tennis court, playgrounds for children and lighted walking paths for you and your family! Arlington Park’s real estate is roughly $300k. Sorrento- Sorrento is located off of Union Chapel and Tonkel road, sorrento’s real estate is roughly $300k, sorrento is a beautiful and big neighborhood filled with welcoming families. Children are welcoming and friendly to new neighbors. Need a baby sitter? there are a few families that run daycare’s in Sorrento! Reach out! La Cabreah- La Cabreah is located off of Dupont rd. La Cabreah is home to North Eastern Group Realty, whish used to be horse stables before it was converted to a real estate office. Homes in La Cabreah sell for around $350k. Older couples and familis live in La Cabreah, and love it for its calm and quiet setting. Eagle Creek- Eagle Creek is located off of Liberty Mills dr, and has been given a 9/10 rating for living there, the median cost of a home in Eagle Creek is $237k, on the cheaper side of the river, Eagle Creek is known for its low unemployment rate (1%), and for its population which is roughly 187. Eagle Creek Subdivision is a nice quiet friendly place to live and raise a family.There are 4 Ponds, 172 homes, and sidewalks for walking jogging & bike riding. Westchester Glens- Westchester Glens is located off of White Cedar rd. Westchester has also been given a 9/10 for living and community the real estate is roughly $350k. 1) Sugar Love- Sugar Love is located off of DuPont and Coldwater road! Sugar Love can also be found online at www.sugarloveboutique.com , sugar love’s clothing are unique and comfortable, and not too expensive. ranging from cute tops, to sweaters, to dresses, and even accessories. Sugar Love also offers free shipping to everyone in who orders in the US. 2) Mainstream Boutique- Mainstream Boutique is located off of Jefferson Boulevard, in Jefferson Pointe, Their website (www.mainstreamboutique.com) Gives you information on their locations, and are open from 10am to 9pm every day except Sunday, which their open 12pm to 5pm. They leave contact information at the bottom of their page and even leave tabs so you can checkout their origin story, their exclusive brand, and their franchise information. 3) Smiley’s Joy- Smileys Joy is located off of West Wayne street in Fort Wayne, they are open Tuesday-Friday from 11am-5pm and Sundays from 10am to 4pm. Their website is www.smileysjoy.com, their website provides a way to contact them and their origin story. 4) The Find- The Find is located off of West Wayne Street in Fort Wayne, They are open Monday-Saturday from 11am-6pm, and are closed Sundays. their website is www.thefindfw.com from there you can shop from accessories to clothing and they give you a full list and details of the things they have in stock. They even have things for you baby and for children. Their clothes are not so affordable but they are comfortable and worth it. Their website offers their origin story and email addresses, and phone numbers that you can contact them with if needed. 6)Peony Rose Boutique- Located off of Jefferson Boulevard in Jefferson Pointe, Peony rose has the cutest and trendiest clothing, they’re open from 10am-6:30pm Monday through Friday, open 9:15m-3pm on Saturdays and are open 10:30am-3pm on Sundays. Thei website is www.peonyroseboutique.com, there you can find their wide collection of new arrivals and their regular clothing. They have their own blog, they have a tab on their website for just about everything! North Eastern Group Realty is Fort Wayne’s largest independent real estate company located at 10808 La Cabreah Lane, Fort Wayne, IN 48645.
https://northeasterngroup.com/wp-content/uploads/2019/03/cq5dam.web_.720.405.jpeg 405 720 North Eastern Group Realty https://northeasterngroup.com/wp-content/uploads/2019/01/NEGRLogo2.fw_.png North Eastern Group Realty2019-04-03 00:00:092019-04-03 16:51:29Fort Wayne's Top Boutiques! How your lawn/yard looks is just as important as how your home looks, here are some important yard tips so you can keep it healthy and looking good. Not only does it raise your property value but it had other quirks as well. Provides a safer landscape for sports and activities than artificial surfaces, offering greater cushion and flexibility. Absorbs rainfall six times more effectively than a wheat field, four times better than a hay field. Contributes to community green space, helping not only your home improve, but the homes around you as well. Traps pollutants from the atmosphere, cleaning the air. Here are some tips on keeping your lawn fresh and enjoyable! By fertilizing your lawn you’re lawn (mainly in the fall) you are setting up your lawn to be health, especially during the cold winter months where nothing grows. Choose the right fertilizer. Nitrogen is the nutrient lawns need most, and most lawn fertilizers contain plenty of it. This can be done multiple ways,one very popular way is called hydroseeding. Hydroseeding is the fastest, and most cost effective and highest quality method of seeding lawn. Its applied with pressure from the hose or tower onto the soil to create the ideal environment for seed germination and turf development. Grass should start to grow within 7 days, and the new lawn will be well established within 3-4 weeks. When it comes to mowing most experts say that people mow their lawn and cut the grass way too short. This stresses out the grass, its recommended to raise the mower to its highest level so you’re mowing the top third of the grass. Taller grass promotes better root development. A healthy way to water your grass is by doing it once a week but to water deeply. Doing it once a week helps the roots grow deeper into the soil, by watering deeply you can also prevent chinch bugs, a pest that tends to attach dried, stressed out lawns. For a newly seeded lawn, water every day for five to ten minutes only. Getting rid of weeds is a pain. Experts say using herbicides doesn’t do the trick either. The only way to truly get rid of weeds is to grow such a healthy lawn that it chokes out any chance for the harmful weeds and bugs to get in. By planting shrubs and flowers you’re allowing the outside of your home to look inviting, its pleasing to the eye and it helps your neighborhood look healthier and cleaner. Of course planting things is a choice, it wot hurt to plant a flower bed or two of course. So here are some easy steps to planting shrubs and flower beds! Removing pests/weeds, of course if your lawn is already healthy, you wont have a problem with this step. Its not hard to get rid of weeds either, its recommended by experts to use natural herbicide. Place the flower beds/shrubs (in their pots) where you want to place them in your yard, its recommended to space the plants out. It looks weird at first but leaving room for the shrubs and flowers to grow is probably the most important step to planting them. You don’t want them to grow out and for it to look mushed together and- wrong. Once you’ve decided where you want them to go, dig the holes, just make the holes for the plants extra big while incorporating some of the good soil and compost. Lay a soaker hose or a drip-type system down. Make sure that the hose is next to all the plants. Cover the entire area with thick layers of newspaper or cardboard. Put the paper underneath the soaker hoses. Steps 4 and 5 can be switched, whichever is easiest. The last step is to cover the paper with a 2-3 in. layer of mulch, if you can, try to cover the hoses too, but its not a big deal if you cant, your shrubs will be watered either way. Winter brings on the perfect conditions for pipes to freeze and burst. Did you know that pipe bursts are one of the most common causes of property damage during the winter? Pipes that tend to get hit the hardest are in spaces that aren’t heated like attics, basements, garages, and crawl spaces. However, don’t discount pipes in areas that ARE heated! Pipes that run through heated areas can freeze just as easily if the temperatures plummet low enough. The good news is that there are a few simple things to do that will keep your pipes thawed and water damage from hurting your home! Here are 10 ways to prevent your pipes from freezing this winter. Any water hoses that are normally hooked up outside should be disconnected during freezing temperatures. This will prevent the water inside the hoses from freezing and expanding, which will stop the connected faucets and pipes from breaking and bursting! Check all outside faucets before winter sets in. If you notice any drips or leaks, call in a plumber or make the necessary repairs yourself! Shut off the outside water supply if possible! Some homes are equipped with a valve that controls just the outside water flow. Shut this down during winter months. Cover outside faucets with an insulation kit. These are found at your local hardware stores and are an inexpensive way to prevent water damage! Any pipes that are in unheated areas like attics, basements, crawl spaces, etc. should be insulated. For an easy insulation fix there is heat tape that is easily installed. For the more ambitious DIYer, thermostat-controlled heat cables also coexist. These can be installed around pipes to keep them from freezing during the winter months. Your furnace should never be set lower than 55 degrees during the winter. When pipes freeze, water pressure can build and cracks will appear. This can happen in pipes made of copper, steel, or plastic- and even a tiny crack can cause a leak that will leave behind 250 gallons of water EACH DAY. Before winter hits hard, drain sediment from your water tank. During the winter, your water heater works harder than during the warmer months, and sediment can cause your heater to work over time and be less efficient than normal. Speaking of your water heater- it should be set at 120 degrees for optimum performance without scalding anyone in the home. Another outdoor project to complete before winters cleaning the gutters. These should be free of debris and dirt to allow water from the melted snow and ice to flow freely through the entire winter season. If there is a blockage, that water will only leak into your home! Check your sump pit. Before winter hits, check that your sump pit is free of rocks and debris. Dump a bucket of water to test the pump to ensure it is working properly and will carry all excess water away from the home. Once your pipes are frozen, all is not lost! There are many ways that you can thaw your pipes before they burst. The first thing to do is keep the faucet pen. As you start to thaw the pipe, the water will begin to melt and it needs somewhere to drain! Any water that runs through the pipe will also help the melting process happen faster. To begin thawing the pipe you only need a few standard household items! A heating pad, hair dryer, or a space heater are just a few items that REALLY come in handy for a frozen pipe. A heating pad can be physically wrapped around the pipe, hitting areas that may be a little more difficult for a space heater or blow dryer. A space heater is great for prolonged period of time, and a blow dryer is perfect if the pipe is in a small area! Once you start to melt the pipes, you will notice water beginning to trickle through the faucet. Keep going with your heating process- this means it’s working! Restoring to full water pressure is the goal. If this doesn’t happen with these home remedies, a professional plumber may be needed. Unfortunately, there are times when water damage does happen as a result of frozen pipes. We can do everything right to prevent it, but circumstances beyond our control cause flooding, mold, or mildew. In situations like this, a professional water restoration company is necessary to ensure your property is returned to normal in the shortest amount of time. Water Out, a professional team of Water Restoration Experts are ready to help 24 hours a day, 7 days a week, 365 days of the year. They provide free estimates, and 60-minute response time, allowing you to return to your regular life right away. Summer is starting to heat up! Not that we’re complaining (yet). The hotter weather means lots of fun summertime activities and easy, breezy summer clothing. But what to do when you want to cool down? 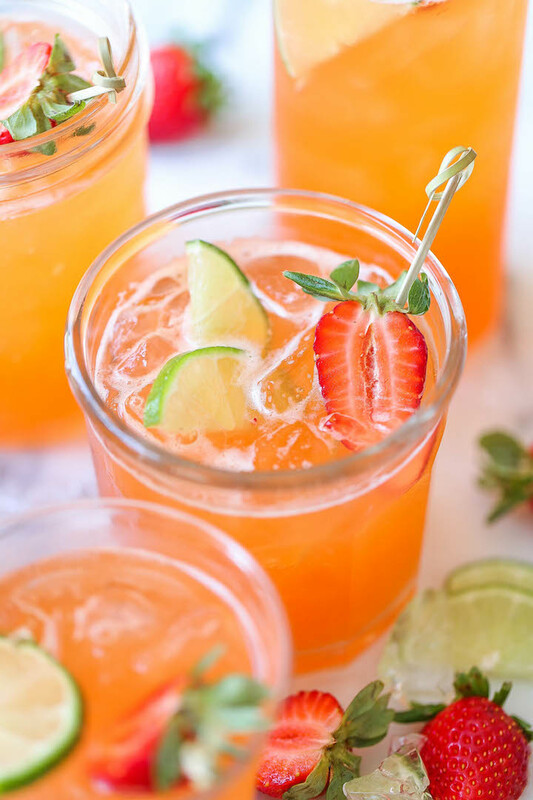 While some sort of water activity is always the best option, if that isn’t available to you the next best option is definitely a cool, refreshing summer drink. Here are some delicious recipes you can make at home! Mojitos are a great way to use some of that fresh mint you’ve been growing in your herb garden or picked up at the farmer’s market. Try a recipe that also incorporates some fresh fruit like this one! 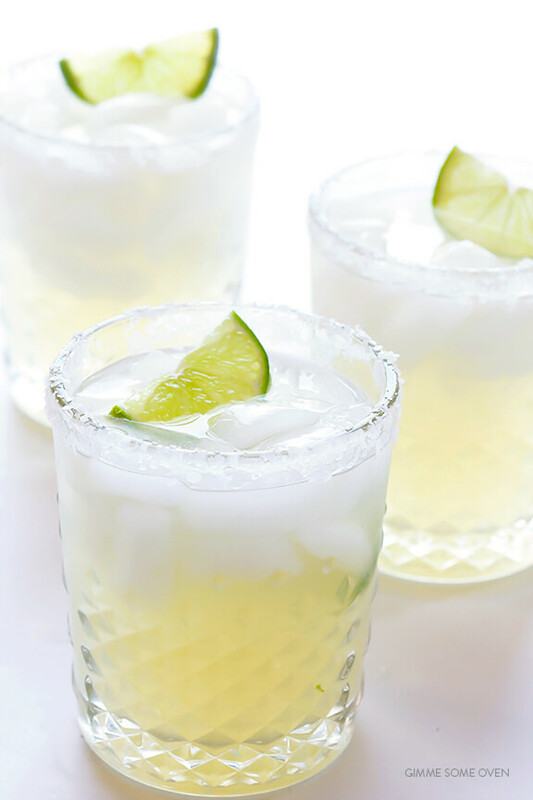 You can’t beat a classic margarita in the summertime. Pair it with some fresh homemade guac and you don’t even have to worry about dinner! It’s a given that the best drink recipes are made even more delicious by pretty drinkware. You can find some really cute and cheap drinkware from the Opalhouse line at Target. Want a 2 story with style? This is it! 4 beds 2 1/2 baths, 1924 square feet, oversized 2 car garage, huge 1/3 acre Lot with mature trees and the front 2 bedrooms have access to a balcony! BRAND NEW: Vinyl plank in main bath and laundry room, Gas Heat Boiler(with 30 year warranty), Hot water heater, garbage disposal and sliding door! Carpeting only 3 years old and per previous listing bedrooms MAY have hardwood under carpet, carpets were professionally cleaned as well as the entire home, freshly painted, huge 16×12 shed for extra storage, windows and gutters only 8 years old. All appliances stay including: Refrigerator, Range/Oven(GAS), Hood and Dishwasher… plus any window units in garage stay(Appliances not warranted by the sellers). Great location too! Close to shopping, schools and the new YMCA! Quiet addition and friendly neighbors. Hard to find this much value in todays market! Take a look at this one located in popular Shores of Rock Creek in Southwest Allen County Schools! At this price point, you have an opportunity to make your own changes and upgrades. Two (2) living areas on the main level including a large kitchen with island and main floor laundry! The living room has a vaulted ceiling provides an inviting space to welcome guests into your home. When you entertain, use the large family room with gas log fireplace that has a nice open view to the large and fully equipped kitchen with pantry! Plenty of cabinet storage space! A nice loft area would make a perfect reading/study spot in your home! The master bedroom includes a nice bath and walk-in closet. The second upper full bath is there for guests and/or family members. Bonus: A finished basement offers a nice sized recreation room and exercise nook for your daily workouts! When warm weather returns, you will enjoy a large backyard for endless outdoor living. Don’t forget this – when the sun shines bright during the height of summer, you will capture afternoon and evening shade on the east facing backyard area without baking in the hot sun! Close to schools, shopping, and all services in the heart of Aboite Township will get you to work quick and back home in a snap!